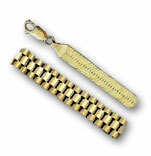 Bracelets are a great way to dress up any outfit. 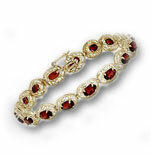 We have a wide range of bracelet styles to match or accent your other gemstone jewelry. 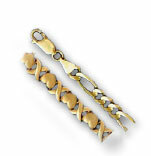 Bracelets also make the perfect gift. 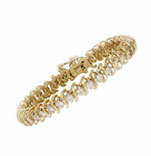 If your girl goes gaga over diamond jewelry, why not present her with a dazzling diamond bracelet during the next holiday? She's sure to love it! Crown Jewelers has a wide selection of silver and gold jewelry in every style imaginable, so be sure to browse through our entire selection whether you're shopping for a gift or for yourself.